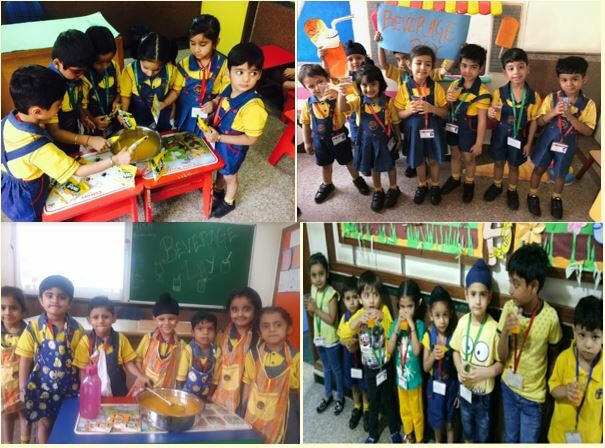 K.R.Managalm World School, Paschim Vihar, make every event a memorable one for our tiny tots. To welcome summer in our wonderful way, we celebrated Beverage day by bringing in the different flavours of beverages which includes the pulpy orange, mango, tangy lemon, pineapple, ice tea etc. The day allowed tiny tots to explore their love for beverages. The beverage day turned the hot summer into a tasty breeze of flavours that brought in a wonderful smile that was shone through the eyes of the little hearts. The idea behind celebrating beverage day was to acknowledge children about the drinks that can have cooling effect in the scorching summer heat.